The adult Dan Torrance, survivor of the disaster at the Overlook Hotel, must battle his own demons as helps Abra Stone, a young girl with the Shining, face off against a group of psychic predators known as The True Knot. 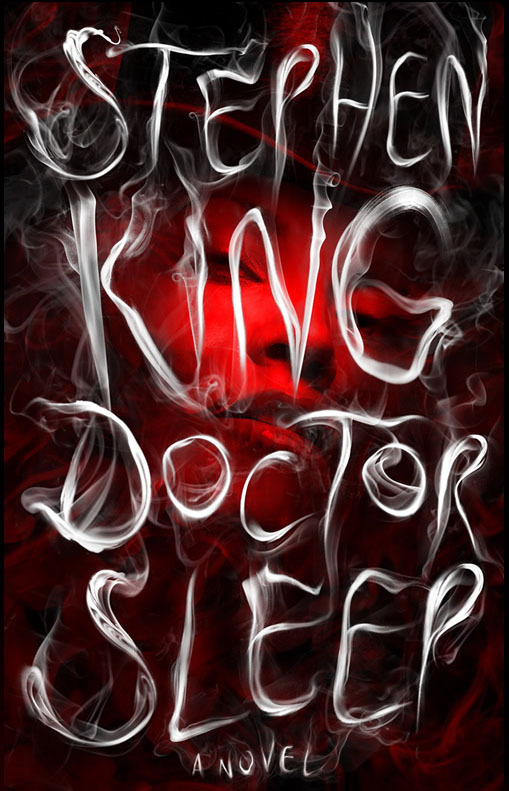 A sequel to The Shining, Dr. Sleep provides an exciting read that sees Stephen King follow up his previous work with a book that examines the themes of addiction mentioned in the earlier work, while addressing growing into an adult, parenting, and family relationships. The book begins by following Dan Torrance as he grows up, becomes an alcoholic, hits rock bottom, and begins to turn his life around. We also learn about Abra Stone, a young girl displaying unearthly powers that confound her parents. The book also introduces Rose the Hat leader of a colorfully named group who travel the county in RV’s and feed upon those with the shining, as well as the bad vibes produced by great tragedy. When Abra becomes threatened by Rose, she reaches out to Dan Torrance, and he takes on a mentor role to help guide in a battle with Rose the Hat and her True Knot. This is a big, sprawling book covering a lot of history, and a vast cast of characters, and I enjoyed it immensely. Although I appreciated how the plot of The Shining was driven by isolation of the Overlook Hotel, opening up the broader canvas of time and the United States in lends import to what at its heart is a small battle for one little. Refreshingly, the world is not at stake, and though if the heroes fail there were be heartbreak, the world will still spin on. I will admit though that book hinges on a coincidence that comes out of nowhere, and that weakens the story. Readers who have not read The Shining can easily pick up this book, as it recaps many of the important events of that previous work. Those who have only seen the Stanley Kubrick film should know that this story follows on from the original book so there were be some differences. Part of a Series: yes, it is a direct sequel to The Shining. I have also seen mention that a brief scene in the book refers to a character that plays a larger role in Joe Hill’s Nosfr8tu, but this connection is not readily apparent and does not detract from the book. You might also like: Stephen King’s other book about psychics as adults is The Dead Zone (1979) which was adapted into a film By David Cronenberg (1983) , and as a television series that ran from 2002-2007 on the USA Network. For another book series where a psychic helps out the dead read Dean Koontz’s Odd Thomas series. There are six novels in the series and a feature film was made of the first book in 2013.